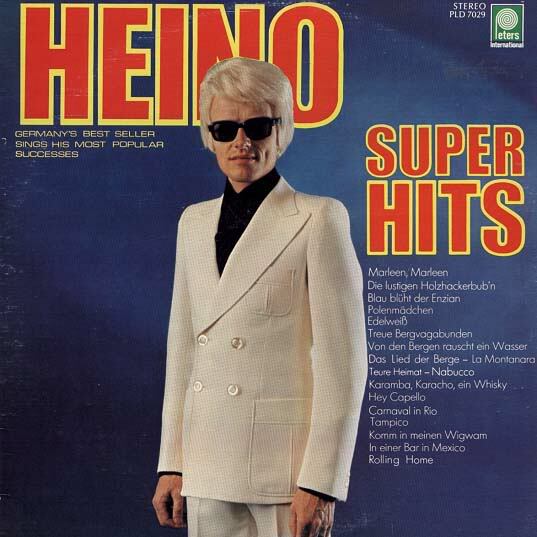 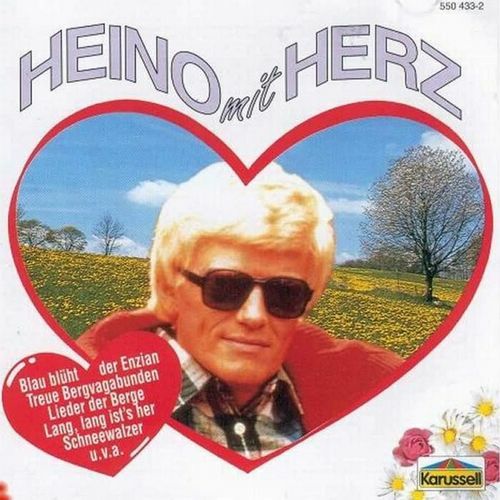 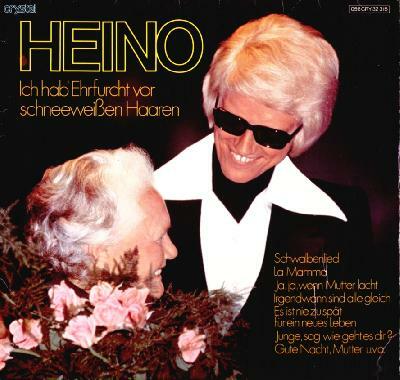 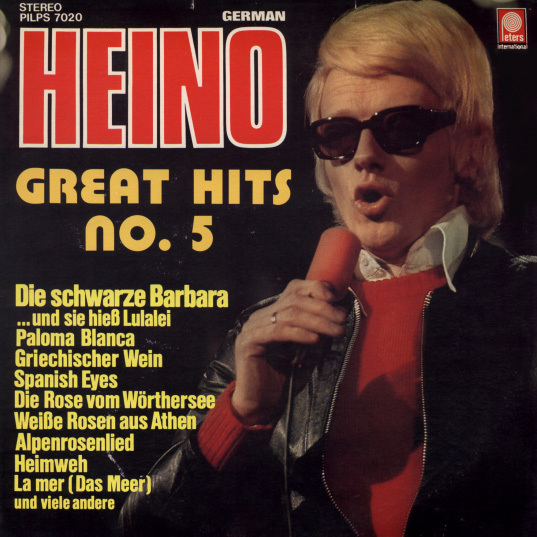 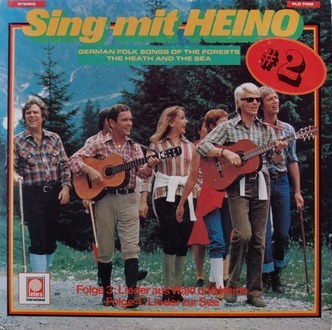 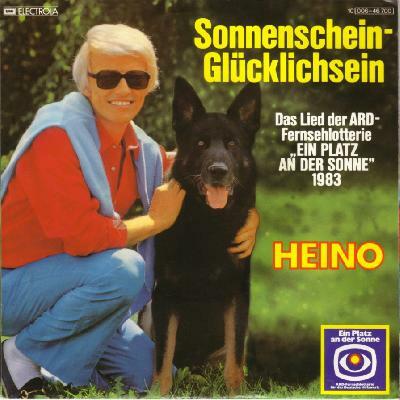 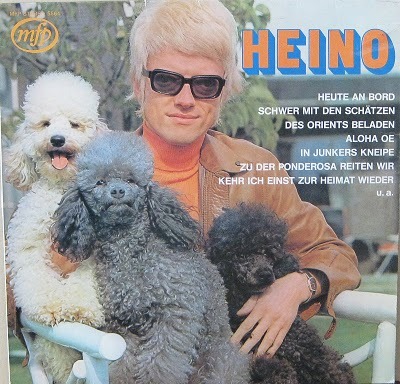 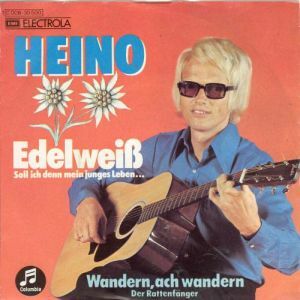 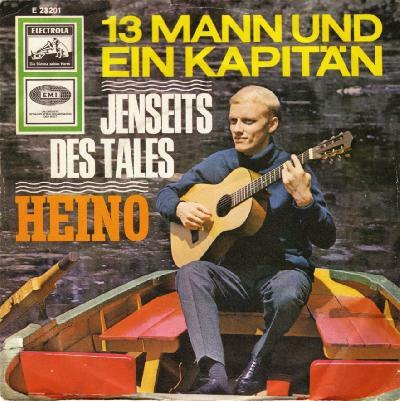 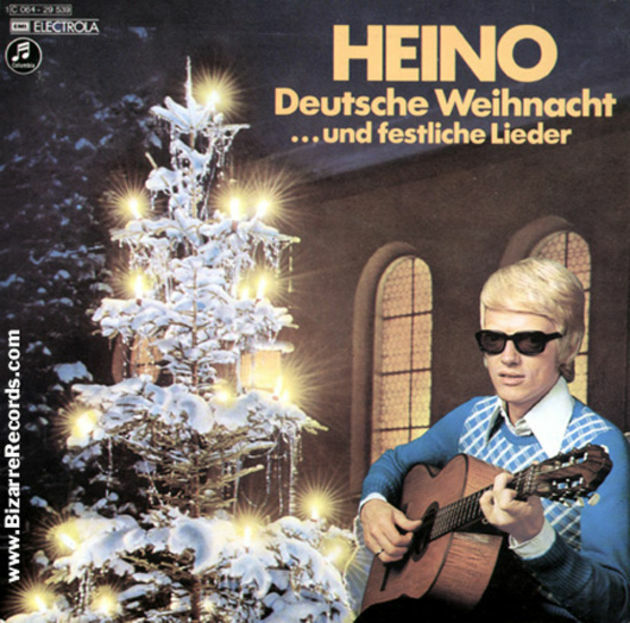 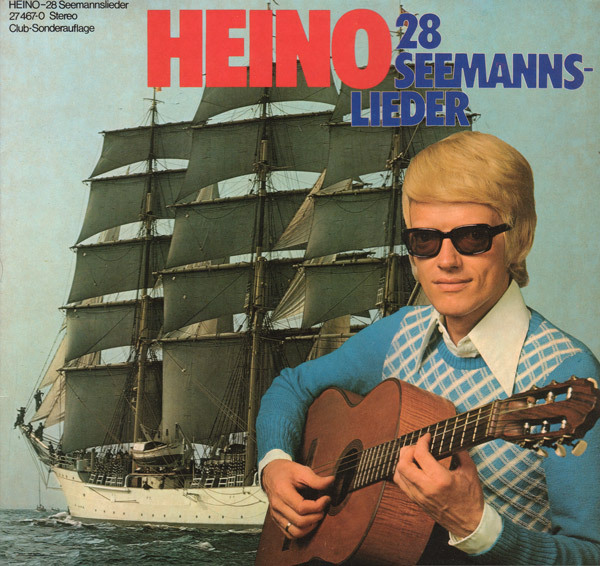 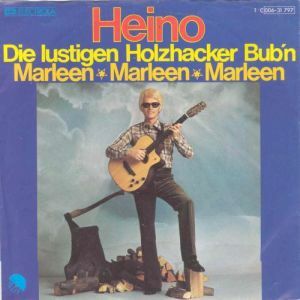 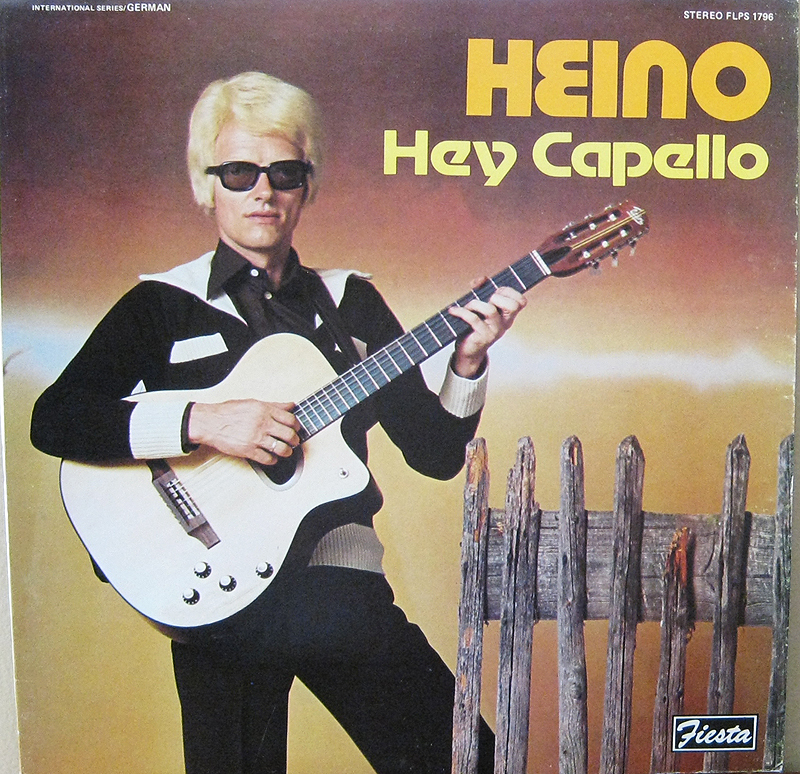 Possibly the most regular artist tweeted to me on @BadAlbumCovers is the German legend Heino. 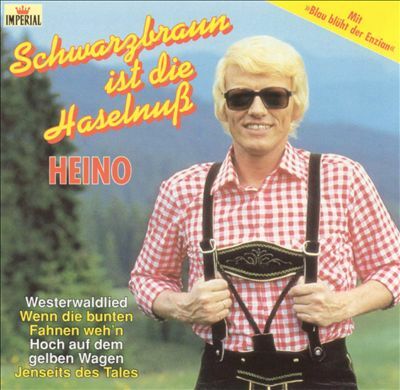 Real name Heinz Georg Kram he has been making music since 1966 and is still going strong. 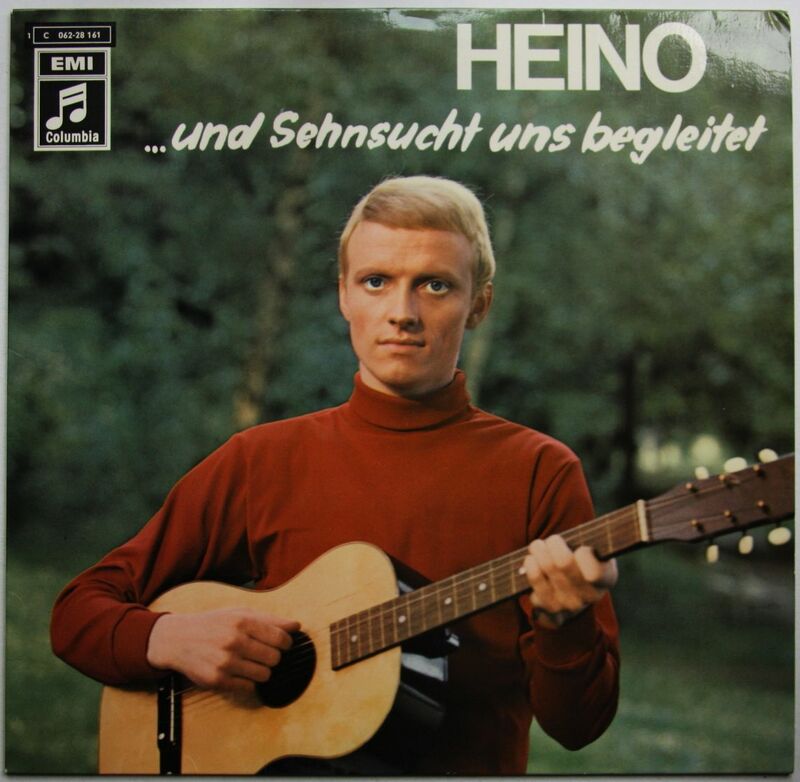 He has sold, quite staggeringly, over 50 million records which makes him one of Germany’s most successful artists. 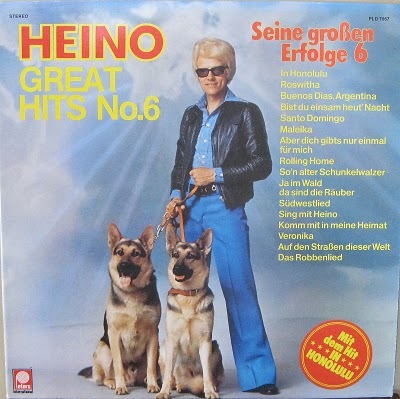 To put that into context, Nirvana, Bob Marley and The Spice Girls sold about 75 million each. 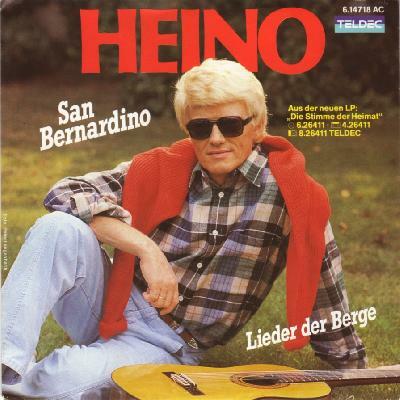 People often wrongly assume he has albinism due to his dark glasses and light hair. 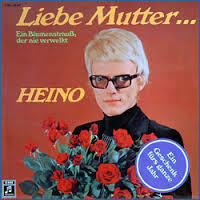 He wears the glasses due to exophthalmos, a kind of bulging of the eyes caused by Grave’s disease which is quite rare for men. 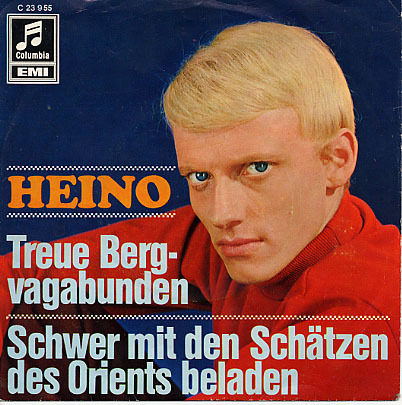 His early record covers show him without the glasses but from 1969 onwards they become his trademark. 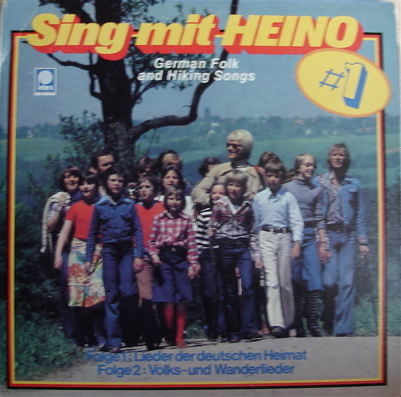 In total I can find 44 albums, 48 singles and 63 compilations. 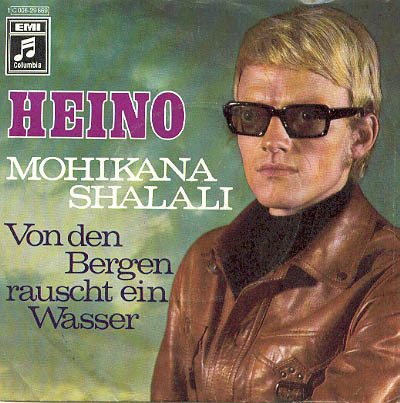 A lot of the covers would not be out of place on my twitter feed but I think he has an uber cool look about him on some of them. 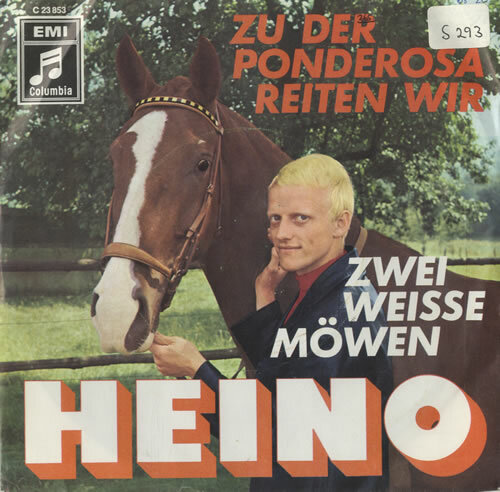 I have included a selection for your enjoyment and for you to judge yourself. 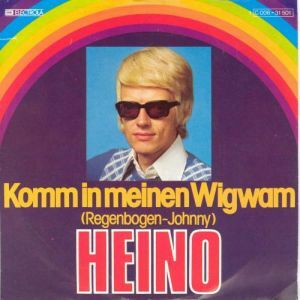 Whatever you think of his record covers the fella really can sing, not that that is a requirement to appear on this blog. 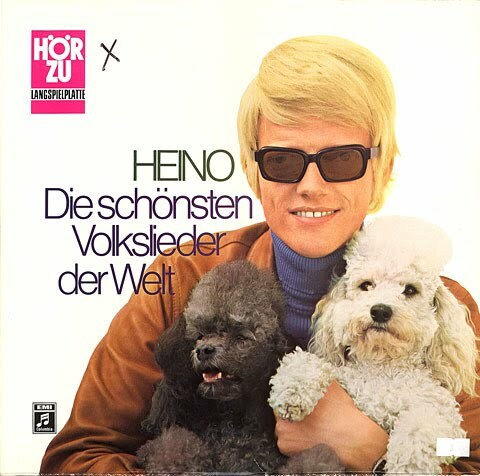 Heino… He may look strange but he is a German baritone legend, I salute you sir!